My house is 120 years old and there are very few level surfaces or right angles. I just had the (alcove) tub and shower replaced. One end of the tub apron is nearly flush with the floor, but the other end has about 3/4" clearance. 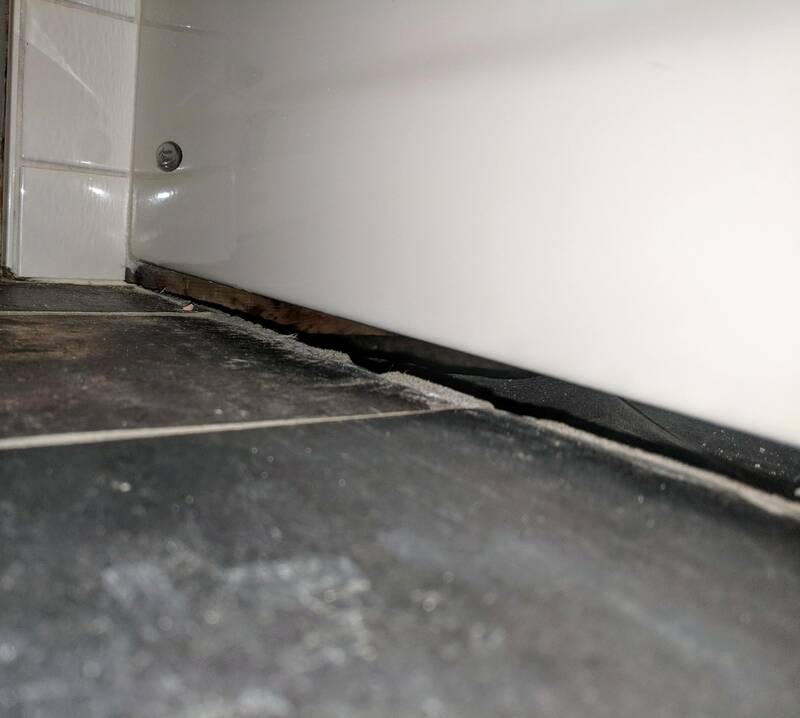 Without ripping the floor up, how can I seal this gap to keep the subfloor under the tub dry? You could use a bead of silicone adhesive to attach a baseboard and then run a bead of caulk where it contacts the tub and another bead where it contacts the floor. This will keep out most incidental drips and splashes. The other option is to insert a backer board into the crack and install a curb tile. Not the answer you're looking for? Browse other questions tagged bathroom bathtub trim sealing caulking or ask your own question. Is caulk sufficient to seal around my new bathtub? Filling gaps between water pipes and floor/wall - what material to use? How do I remove a 2” concrete float with tiles from my floor?